For over hundred years, the training for surgeon was the accumulation of personal experience following the model of “see one, do one, teach one”. Even when this worked, such training lacked standardization because of different cases and teachers’ experience. This is clearly suboptimal from a safety viewpoint. 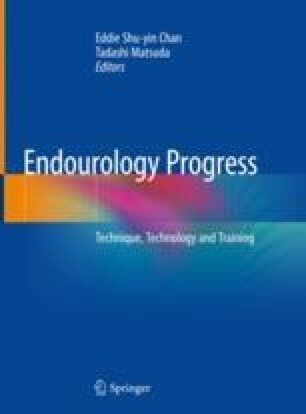 More importantly, modern clinical ethics sits poorly with surgeons practicing new techniques on patients without any attempt at learning the skills on simulators. Patients are also increasingly reluctant to be the “guinea pigs” for inexperienced surgeons. Asia has a vast territory and a large population, the development of endourology varies greatly among different countries and regions. Systematic training and standardization of technique is in pressing need in Asia, especially in developing countries. In the last couple of decades, numbers of new animal and mechanical models and simulators have been developed and validated. Based on the currently available data, endourological training could help surgeons to gain experience and improve skills outside the operating room in a short time. Efforts should be made to identify the best aspects of every model and procedure-specific simulation courses should be developed and validated. Conclusive data on the training effect and feedback on real clinical environment is also needed in Asia. Phe V, et al. Outcomes of a virtual-reality simulator-training programme on basic surgical skills in robot-assisted laparoscopic surgery. Int J Med Robot. 2017;13(2) https://doi.org/10.1002/rcs.1740.